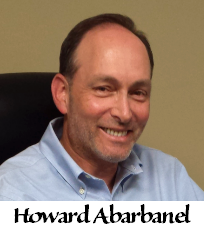 The Abarbanel family traces its heritage as far back as King David and its eminence to the idyllic age of Spanish Jewry before the exile of 1492, when Don Yitzchak (Isaac) Abarbanel, known as "The Abarbanel," was a leader in both religious and secular life. The biographical introduction The Abarbanel Haggadah, which is annotated with commentary by Don Isaac, says it is a family tradition that its ancestors made their way to the Iberian Peninsula after the destruction of the First Temple. By his late twenties, Don Isaac was recognized as a learned and prominent member of Lisbon's Jewish community, having written books on various facets of Jewish philosophy. He went into government service in the footsteps of his father who was a minister of the Portuguese national treasury. Don Isaac prospered, rising to the same position as had his father, but became embittered because of spending time, he wrote, "in the courts of kings and in their service, but not serving the King of Kings, the Holy One, Blessed is He." As a royal minister, Don Isaac could champion the Jews. For instance, when Arabs took 250 Jews captive in Arzilla, Morocco and sold them into slavery, Don Isaac led the campaign to raise enough money to free them and resettle them in Portugal, donating generously from his own funds. Accused of involvement in a plot against King John II of Portugal, Don Isaac fled to Spain in 1483, took up residence in Castile and again became a treasury official. It was during his Castilian exile that he began his monumental commentary on The Bible. The year 1492 was a dark one for the Jews of Spain, expelled during the Inquisition. Though King Ferdinand and Queen Isabella pleaded with the Jew who had risen to be their chief minister and who had been instrumental in financing Columbus's great voyage of discovery, he refused to stay behind as his fellow Jews again went into exile. Don Isaac spent the rest of his life in various parts of Italy, with the exception of a brief sojourn on the Mediterranean island of Corfu. He again was employed in government, but focused his personal life on study and writing. He wrote three books on the subject of the Messiah and completed his commentary on the Haggadah in 1496 while living in Monopoli, a town in the Kingdom of Naples. The last years of Don Isaac Abarbanel's life were lived in Venice, where he was called upon to act as an intermediary in the trade negotiations between Venice and Portugal. Again having risen to the highest echelon of government, Don Isaac remained in Venetian service until his death in 1508. He was buried in Padua, but the location of his grave is now unknown. The Abarbanel Family Crest is Spanish in origin, having been given to Don Isaac by King Ferdinand and Queen Isabella for his service to the Spanish Crown. This crest can be seen on every bottle of Abarbanel brand wines. Fast forward to the 21st Century. Science and technology are transforming the wine industry, even in that bastion of conservative winemaking, France. The Abarbanel family decides to put science and technology to work for Jews everywhere, by providing kosher wine of the highest calibre. For many years, kosher wine in the United States had been derived in the main from the American native grape, the Concord, undrinkable except with the addition of lots of sugar. Immigrants accustomed only to dry, European wine had no choice and, over the years, this became their "traditional" wine. Now the true tradition is overtaking the one created by circumstance: dry wine produced to be world class, meeting the demands of a Higher Authority and brought to America and to you with a hearty "L'chaim" from the Abarbanel family, the world's oldest Jewish family.